Check out some tips to help reduce indoor allergens and improve indoor air quality systems! With spring just around the corner, these helpful pointers will help improve IAQ. Deep clean all carpets and vacuums weekly. Potted plants can grow mold, so cover dirt with aquarium gravel to prevent it. 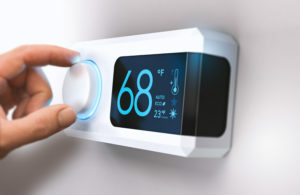 Maintain an indoor temperature of 68°F to 72°F because humidity attracts dust mites and mold.